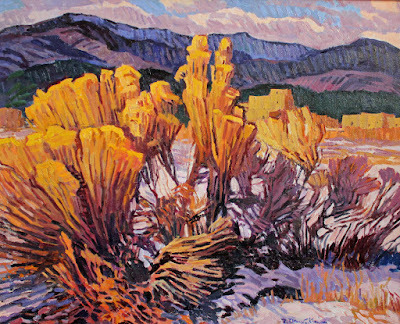 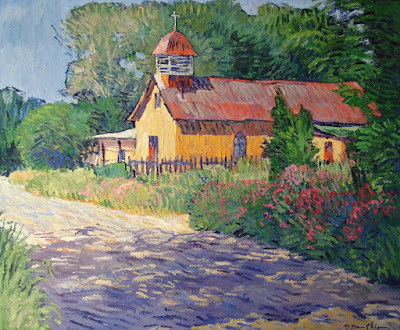 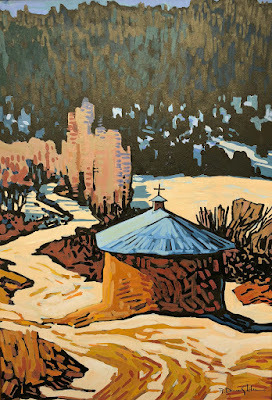 "Back Road to Trampas" "Chimayo Fall"
30" x 24" 24" x 24"
"Valdez Valley" "Church of Immaculate Conception"
Daughters, living for 20 years in Berninghaus' studio and home in Taos, said, "The composition always comes first," "I like to have an important visual point; sometimes it's a structure, and sometimes it might be a color." 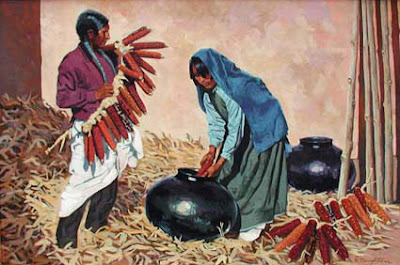 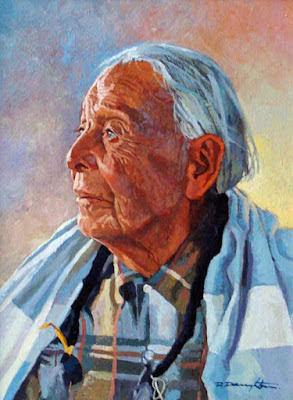 Robert A. Daughters was active/lived in New Mexico, Arizona, Missouri. 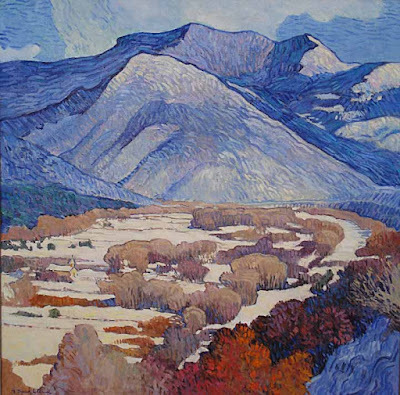 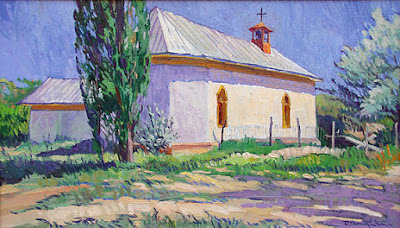 He is known for expressionist western landscape, figure and genre painting.